Welcome to condominium living, like you’ve never thought possible. The type that’s both laid-back and sophisticated. 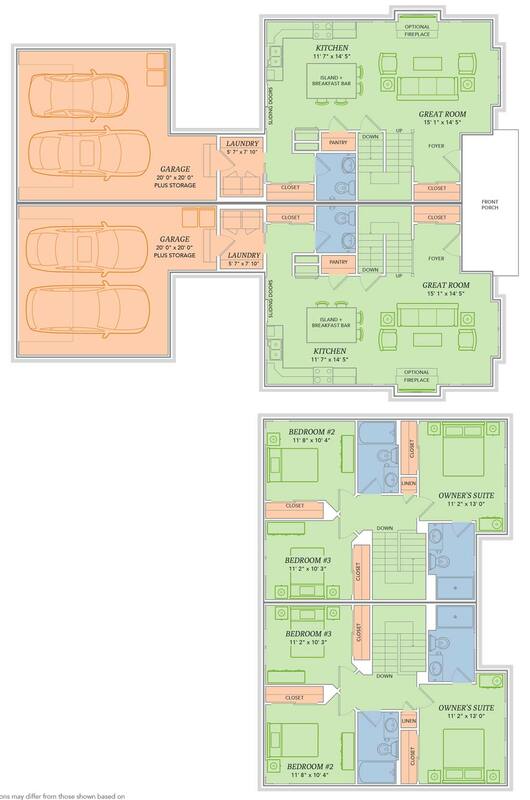 This smart layout makes use of every inch, offering standard features like a breakfast bar, kitchen pantry and first floor laundry. You’ll welcome guests to hang around a little while longer in the cozy third bedroom, although they will likely envy your own little piece of heaven that is the owner’s suite. Personalize your home with thousands of options found within the design studio.